Welcome to Rocky Top Resources. We are a locally owned and operated wood recycling facility and landscape supply center. We offer a wide range of products and services to meet your landscaping and recycling needs. In business since 1992, we have been blessed to serve Colorado and establish a reputation for stellar customer service and quality workmanship. Retail and Commercial – Ask about our rates for your larger projects. Our huge selection of quality materials are just what you need for landscaping projects. 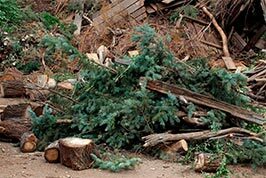 When properly recycled, tree limbs and other yard waste become valuable resources. Donations we collect for Care and Share at our slash recycling program. 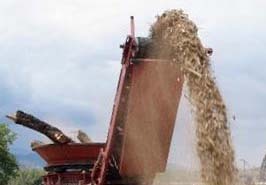 Drop off prunings, leaves, plants, sod, and weeds and pick up high quality mulch. 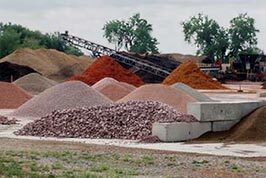 We have a long list of products for all your landscaping projects, including mulch, rock, soil, amendments, soil mixes, edging, boulders, timbers, fabric, and more! CLICK FOR COUPONS! You can recycle most of your yard waste with us! Recycle your waste and purchase some new materials in the same trip. Be sure to ask about our Care and Share Program on Saturdays! Rocky Top Resources is a family owned and operated company where great customer service and quality products are top priority. We partner with the community to collect donations for Care and Share in exchange for slash recycling which helps clean up our environment.